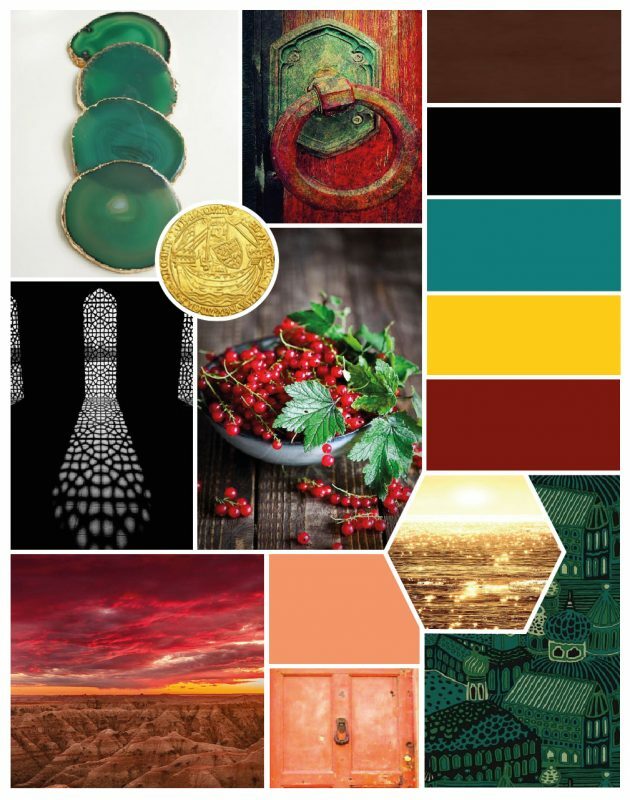 Before getting started, we decided first, to narrow down our colour palette by creating a mood board. Our colours are inspired by an aura of mystery, romance and adventure. These are primarily bold, rich colours with accents of peach and gold to pull the look together. When it came to choosing, it all started off with a base of green and red. Being complementary colours on the colour wheel, they will always work well together. To balance out these bright colours we paired together some neutral brown tones and a swathe of black. The salmon/ peach undertone was a bit of long shot, but ended up gelling well with the colours as a whole! Now go ahead, make your eclectic dreams come true! 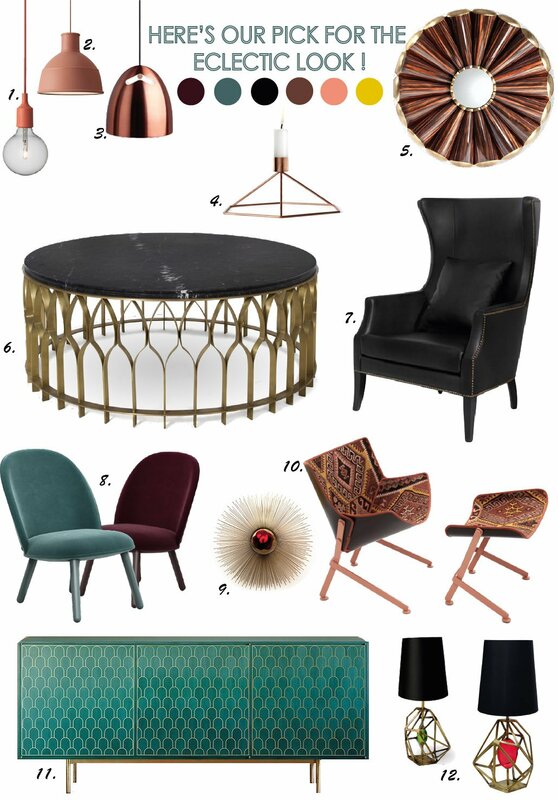 This entry was posted in Fabiia Ideas, Inspiration and tagged Decorative Light, furniture, Inspiration, lighting uk.